Why is Skype Banned in Some Places and Countries? Some of the reasons that have been given by countries who recently banned Skype include national security concerns (because it’s definitely problematic for central government to show off your new cat across a video connection) and protection of a state’s telecommunications monopoly. 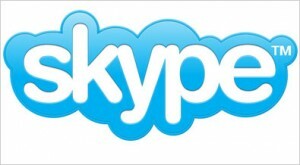 In some countries, the use of Skype has even been criminalized – Skype users in Ethopia face a 15-year prison term, for example. It’s becoming increasingly common for countries to ban Skype, and not just in the obvious candidates where censorship is the norm. Certain network administrators are also guilty of making Skype difficult to access, claiming that it’s an inappropriate use of resources, a security risk or uses excessive bandwidth. Not that any of us would want to spend an hour of our work time chatting about recipes with our mothers, of course, but Skype can be an invaluable tool for contacting potential clients and customers. How Can I Access Skype Where Skype has been Banned? Blocking Skype is a manual process that involves setting up firewalls to restrict specific websites and data ports. All the web traffic you send and receive must pass through this firewall, which makes it an effective blocking mechanism to the outside world. Unblocking Skype is a much simpler process. By using a Virtual Private Network, or VPN, you form a private tunnel between your computer and your VPN’s server, which means you’re no longer forced to go through the firewall and unblocks the Skype service for you. This won’t necessarily work with a free VPN service, unfortunately, because certain free services now have a high enough profile that they have also been blocked – the firewall won’t allow you to connect to them and, if you can’t connect, you can’t create a private tunnel. The best paid VPN services, on the other hand, change their IP addresses on a regular basis and the blocking mechanisms are seldom able to keep up. It’s the safest and most effective way of getting around restrictions to Skype and accessing Skype in places where it has been banned – you’ll find a list of some of the very best subscription VPN services around below to help you get started.